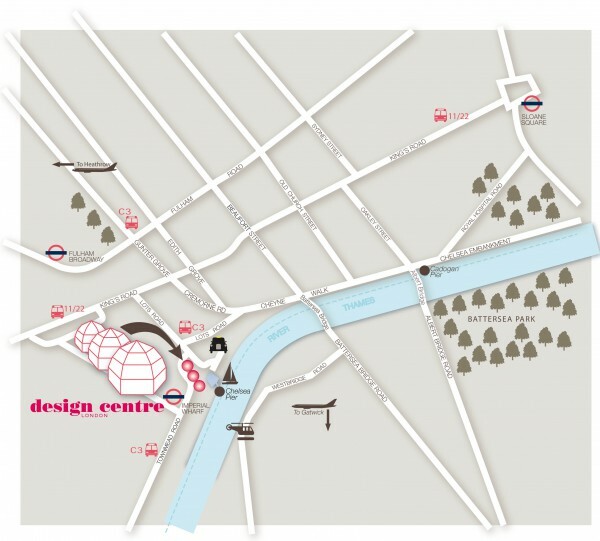 For the best in design and decoration, step into the glamorous world of Design Centre, Chelsea Harbour. Well-established as the world's premier destination for design excellence, it is an important hub for the superyacht industry. You can find every last detail for a yacht project - from high-performance products and finishes to bespoke commissions. People fly in from all over the world to see what is on the style radar. More than a resource, it is a thriving platform, both creatively and commercially, for an exceptionally dynamic industry. Home to 120 showrooms and over 600 of the world's most prestigious luxury brands, it is the largest of its kind in Europe. By Car: There is a secure underground car park, please click here for prices. By Air: All London airports provide direct links into London in order to reach Design Centre, Chelsea Harbour. The Gatwick and Heathrow express trains come into West London and are only short taxi rides from the Design Centre. By Train: Imperial Wharf (Overground Line), linking mainline stations Clapham Junction in the south and Willesden Junction in the north connects to West Brompton, Olympia and Shepherd’s Bush for the London Underground. Visit www.tfl.gov.uk for more details. By Bus: The C3 runs between Earl’s Court tube and Clapham Junction mainline stations and goes to Chelsea Harbour, approximately every 10 minutes. Both the number 11 and 22 buses, serving Sloane Square and the West End, run along the King’s Road (alight at Lots Road). By Boat: River Bus services run regularly from Chelsea Harbour Pier, providing a scenic alternative for getting across London by water. ATM Cash Dispenser: Located Harbour Yard and Wine, Ground Floor Design Centre East. Reduced Mobility Access: Step free access is available via a drop off at the front of Chelsea Harbour Hotel (Chelsea Harbour Dr, Fulham, London SW10 0XG), then a short distance to Design Centre, South Entrance; alternatively access is also available via the Design Centre Car Park (Lots Rd, Fulham, London SW10 0XE), where lifts are available to all floors in Design Centre and Design Centre East. A wonderful opportunity to meet people and exhibitors.